Welcome to Severna Park United Methodist Church! Whether you’ve recently moved into our area or are just looking for a new church home, we invite you to come for a visit. 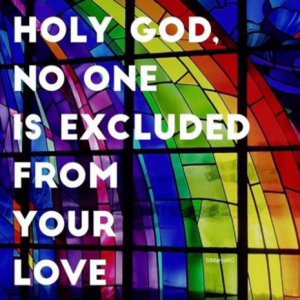 SPUMC is a safe place to explore faith, to ask real questions and to be part of a community of people trying our best to live authentically and joyfully as disciples of Jesus in the 21st century. We strive to be a “big tent” kind of church that welcomes people of diverse backgrounds, differing theological and political perspectives and varied life experiences. We read the Bible with both head and heart and draw upon our Wesleyan tradition for inspiration and guidance. Most importantly, we believe it is the overwhelming, never-ending, reckless love of God and our common commitment to follow Jesus that holds us together as the one body of Christ across all of our differences. ALL are welcome here and all means all! You have a choice of three different worship services. If you’re a morning person, come on out to the Early Service at 8am where you’ll experience worship in a more intimate setting with traditional overtones. Our 9:30am Contemporary Service is more casual with music led by a praise and worship band. At 11am our Traditional Service features organ, piano, and a choir. We celebrate communion on the first Sunday of the month at all three services and baptisms are also a regular part of our worship rhythm. There’s a time for conversation and connection with coffee and donuts in the Fellowship Hall after each of our worship services. You’ll find a warm welcome for your children in one of our team-taught Sunday School classes during our 9:30am & 11:00am services. Adults have options for classes throughout the morning (and throughout the week), too: Search the Scriptures (8:15am, Room 300); Saints & Sinners (9:30am, Room 301); and Reid’s Class (11am, Room 301). We have a Welcome Center in the Lobby where you’ll find All Things SPUMC (which offers a great overview of our mission and ministries), copies of our monthly newsletter (The Octagon) and brochures about particular ministries. Even more importantly, you’ll find real live people to greet, guide, and answer questions you might have. You can also sign up for our eNewsletter and other email communications. We are located at 731 Benfield Road in Severna Park conveniently about a mile east of I-97 and just a couple of miles west of Ritchie Highway. We have an awesome youth program (Sunday nights, 7:00pm & 75+ youth who go to serve in Appalachia for a week during the summer), a vibrant children’s ministry (VBS regularly draws 175 children), lots of hands-on mission opportunities and a music program that rocks… and sings and rings and bows, too. Please feel free to browse our site to find out more about particular ministries or contact any of our staff to ask questions. Our church’s mission statement – Love. Serve. Follow. – focuses our lives and reminds us that faith engages all of who we are: heart, soul, mind, body & strength. You’re welcome to join us wherever you are on your spiritual journey, whether you are entirely new to church, a life-long Christian, or somewhere in between. At the heart of our worship is God’s unconditional LOVE for us and in turn, our love of God and neighbor as the starting point for everything we do and everything we are. We are a church that takes to heart Christ’s call to SERVE our neighbors with humility and generosity. You’ll discover many ways to go out into the world to put your faith into action with us. You’ll also find lots of groups, Bible studies, and classes to help you grow in your faith as you learn to FOLLOW Jesus more faithfully in the way of discipleship. But just don’t take our word for it; come see for yourself what we are all about!